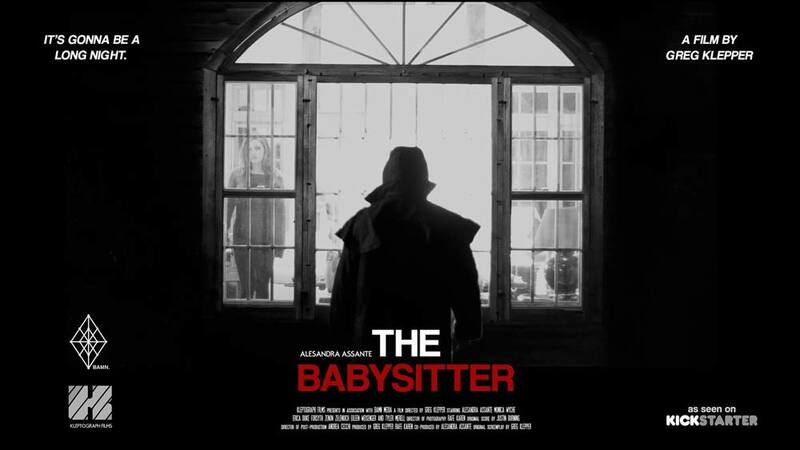 The Babysitter is a short feature that works as a microfeature within its 30-minute runtime. It’s an intriguing and dark story with impressive production quality. Also, you can watch the horror short feature for free now! The Babysitter is a what most people would call a short film, but in actuality, it’s more of a microfeature. The story is like a super compressed feature film where the story is told in just 30 minutes. Also, the movie was produced for just 1,100 dollars, which is beyond impressive. And you can actually watch this horror short feature for free at the bottom of this page. The Babysitter is out for free via YouTube, which is why we’re able to show it to you on this page. This movie does have a lot going for it, but still, the impressive performances from the cast should be at the top of the list. Especially Alesandra Assante as the babysitter, Katie, is delivering a performance that keeps you engaged. My personal favorite was probably the diva-like Mrs. Wallace played by Tyler Merell. Such a cool character and brilliant performance that was just the right amount of over-the-top for me. Also, I have to mention Erica Duke Forsyth as Katie’s friend, Cara. I think we’ll see her in more movies soon – I certainly hope so based on her performance in this one. Not only was Erica Duke Forsyth perfect for comic relief in the beginning, she also turns into a more serious character as the story progresses. And yes, even with a runtime of just 30 minutes, The Babysitter really packs a lot of punch in its story. When The Babysitter first begins, you cannot help but be reminded of the original Halloween movie. Not because the story evolves in the same way, but simply because of the dialogue and scenery. It feels like the perfect kind of homage to start off a movie like this and defines act 1 of the story pretty well. Moving on to act 2, we’re now in the actual babysitting part of the story. In other words, a young girl is now alone (with a small child) in a house in the middle of nowhere. And then the phone starts ringing. I was reminded of both Scream and When a Stranger Calls, which is probably mostly due to the cool lead character. Also, I have to mention the fact that the lead actor, Alesandra Assante, has the coolest voice. If you like distinct and cool voices (which I obviously do! ), then this will be a treat for you as well. The Babysitter was written and directed by Greg Klepper, who has been struggling to get this movie out to an audience. Once you watch it, you’ll know how much of a shame this is. The movie has an impressive production quality and deserves to reach a much larger audience. For one, it should certainly be shown at genre film festivals. Unfortunately, it was made before the Netflix movie The Babysitter and this was the movie that everyone was talking about when the title was mentioned. And honestly, we really loved that movie, so we can’t blame it for running with all the attention. However, Greg Klepper’s microfeature with the same title is most definitely worth your time as well! The horror microfeature (or longer short film, if you will) is out for your viewing pleasure now. Watch The Babysitter for free via YouTube in the embedded video below! After a breakdown leaves her expelled from her dream college, Katie Seger is left struggling to pick up the pieces. When an opportunity to babysit for a wealthy family on the outskirts of town presents itself, Katie sees it as a way to prove how much she’s moved on from the unfortunate incident. However, things begin to unravel as the night progresses, leaving Katie once again struggling to keep it together as she tries to make sense of the terrors she encounters.